Since 2008, Tydell Disposal has built a solid business based on the highest standards of bin rental reliability, professionalism, and customer service. We recognize that each client has specific bin rental needs and we aim to customize our disposal bin services accordingly. We can provide disposal bin rentals for small home improvement projects, as well, Tydell Disposall can handle large commercial disposal requirements. We are completely committed to customer satisfaction and long-term relationships by consistently delivering quality service at competitive rates. We realize that of our customers are different and require specialized and personalized services. We take the time to understand our customer's needs. 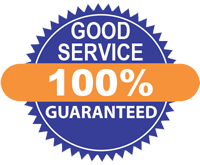 We take customer service seriously, and we guarantee that you won't be disappointed with our prompt service and excellent pricing for disposal bin rentals. We are available to our customers seven days a week. I needed a 20 yard dumpster bin and I needed it now. When I called Tydell Disposal, not only did they have one available, they had delivered to my home within 90 minutes. The men who delivered the disposal bin were professional, courteous and polite. I only needed the disposal bin for 24 hours and when I called Tydell Disposall for pick-up, they responded in an expedient manner. They promised the best rental rate and that is what I got. Whenever I need a disposal bin, Tydell Disposal gets all my busines! Our disposal bins can be delivered and picked up from anywhere in the Greater Toronto Area including: Toronto, Scarborough, Agincourt, Rexdale, Etobicoke, Vaughan, North York, Richmond Hill, Markham, East York and other surrounding cities.